If you are a current iPhone owner, you are currently locked into using your carrier. This could be AT&T, Verizon etc. Now, if you are travelling or if you run out of your contract and want to switch carriers, you are locked and you cannot use the different carrier. There are some complicated guides out there where you have to install a bunch of software, log into the kernel and do all sorts of fancy black magic to jailbreak and unlock your iPhone. In this guide, we show you the simplest and the easiest way there is to unlock your iPhone and show the steps in text and pictures to guide you all the way. Best part, complete the whole process in less than 5 minutes. As always, proceed with caution. We are not responsible if something goes wrong. Also, this guide is meant for educational purposes only. It is very important that you perform a backup of your iPhone. When you backup your iPhone, you store your contact information, pictures, music, apps and other valuable stuff on your computer or Mac. In case something goes wrong, it also gives the option to restore the iPhone. Launch iTunes and hit sync. When you do this step, iTunes initiates the backup process. Jailbreaking is the first step you need to do to eventually unlock your iPhone. When you jailbreak, we remove the restrictions imposed by Apple in terms of what apps, themes or tweaks you can install and run on your iPhone. With a jailbroken iPhone, you do not lose any existing functionality. You just gain the ability to do more. The best part, jailbreaking is reversible where you can undo the jailbreak by restoring from your iPhone backup. So, make sure you do step 1. Once at the website, you will see the screen below. Just slide and initiate the Jailbreak process. That’s it! 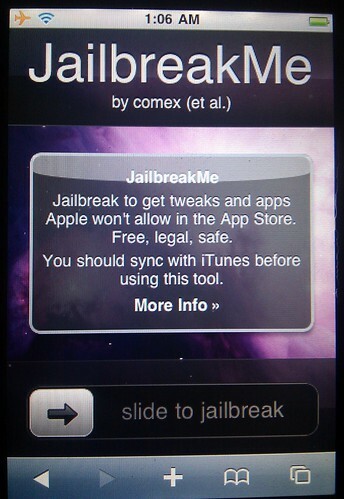 Your iPhone is now Jailbroken. Jailbreak happening on the iPhone. Relax! The App that will help us to unlock the iPhone is called Cydia. It is a simple iPhone app manager and will get the stuff we need to unlock the iPhone 2G. Once in there, Cydia will try to look up any updates. You want to make sure Cydia is up-to-date with all the packages. Once, Cydia is done updating, close out Cydia. Once Cydia is done updating its database, you must restart your iPhone. Press and hold the power button and slide to power down. Now that Cydia is up-to-date, we need to install an app that will actually do the unlock process for us. 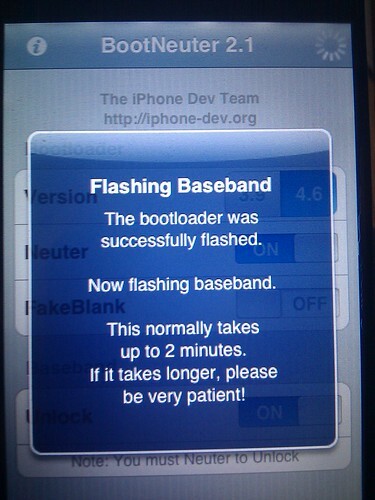 In order for us to unlock the iPhone 2G, we need to do something called flashing the bootloader and also flash the baseband. Once this is done, you can start using your unlocked iPhone. Once the installation process is complete, you can return to Cydia. However, press the home button now. This is the last step to finish the iPhone unlock process. 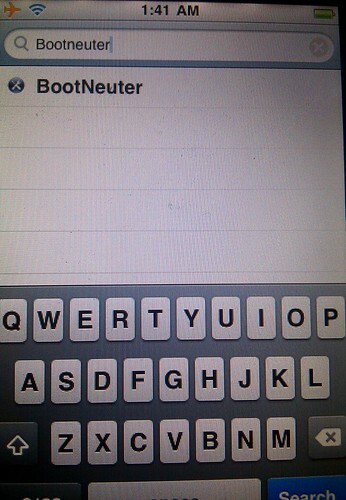 We now need to configure BootNeuter to flash the iPhone bootloader and the baseband. It will take couple minutes. 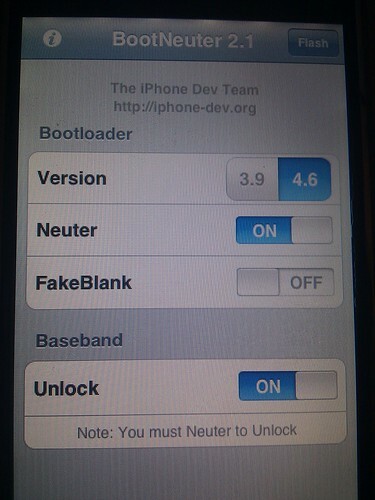 Once BootNeuter is done, you will get a message saying that your iPhone baseband and bootloader were successfully flashed. Congratulations!! 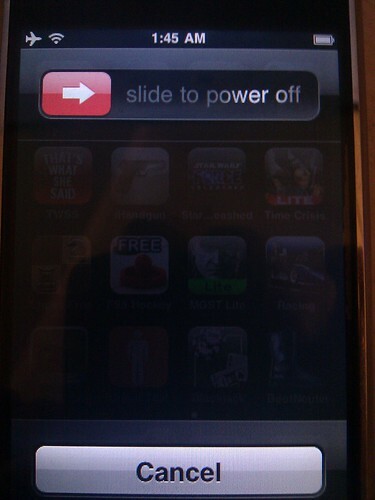 Your iPhone is now unlocked. Let us know and comment if you love the simple process or if you run into any issues and we will try to help you out. Good luck! 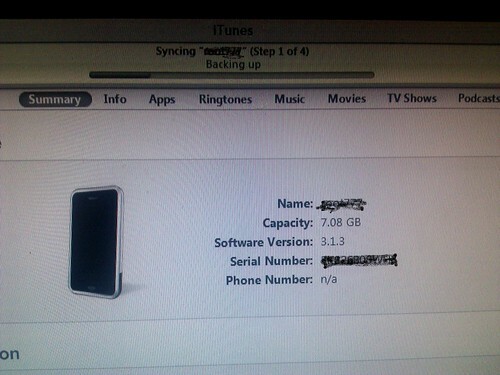 Posted in Phone and tagged Apple, Cydia, iphone, iPhone 2G, Jailbreak, unlock. Bookmark the permalink.